INSPIRATIONAL STORY OF SIR LOUIS PHILIP ODUMEGWU OJUKWU. A lot of people may not know who Sir Louis Philip Odumegwu Ojukwu is besides the fact that he was the father of late Biafran Warlord, Dim Chukwuemeka Odimegwu Ojukwu. But the fact is that he was one of the greatest Business men ever produced in Africa and one of the richest. It beggars belief that Sir Ojukwu went to Lagos with nothing in 1929 aged just 20, but 10 years later, aged just 30, he was already managing his own chain of businesses which included, *Ojukwu Stores,* *Ojukwu textiles* and *Ojukwu transportation* *company* By 1950, just Ojukwu Transportation company had over *200 trucks* in its fleet. How did he do it? Born Louis Philip Odumegwu Ojukwu in Nnewi in 1909, the only boy and second of four children,Sir Ojukwu went to Government primary School Asaba. In 1922, he proceeded to the only secondary School in the Eastern region at that time, *Hope Waddell training institute, Calabar* After completing his secondary School education in 1928, Sir Louis secured a job as a tyre sales clark with John Holt Lagos in 1929. It was working as a tyre clerk that Sir Louis Ojukwu noticed that many Igbo traders who came to Lagos to buy tyres also bought textiles as well. With his meagre savings, Sir Louis travelled down to Onitsha where he opened his first business venture called *”Ojukwu stores”* and employed one of his relatives to oversee it. He then returned to Lagos and started sending down textiles on Lorries to his shop while still working for John Holt. Sir Louis’s textile boomed. By 1930, Louis bought a second hand truck and employed a driver in other to move his goods himself and *’Ojukwu transport company’*was born. Sir Ojukwu worked tirelessly and by the end of 1930, was the major transporter on the East-West Road. In 1939, on the outbreak of World War 2, the British Government requested the use of Sir Ojukwu’s fleet of trucks for the War effort to which he agreed. When the war ended in 1945, the British Goverment recognised the sacrifice he made and he was conferred a *KBE (Knight of the British Empire). The end of the war also created a high demand for raw materials from West Africa and sir Ojukwu’s Transport business exploded sky high and he diversified into other businesses. Some of Sir Ojukwu’s early drivers were *Chief Ilodibe (Ekene Dili Chukwu) and Chief Ubajiaka (Izuchukwu Transport)*would later become Transport moguls themselves. Sir Ojukwu was so rich that in 1956 when the Queen visited Nigeria, the British authorities had to borrow his *Rolls Royce* and personal driver to chauffeur the Queen around. Sir Louis was also a financial pillar of *Ziks NCNC Party* and when the party came to power in 1960, Sir Louis was offered the position of Finance Minister which he turned down, the position ultimately went to Okotie-Eboh. 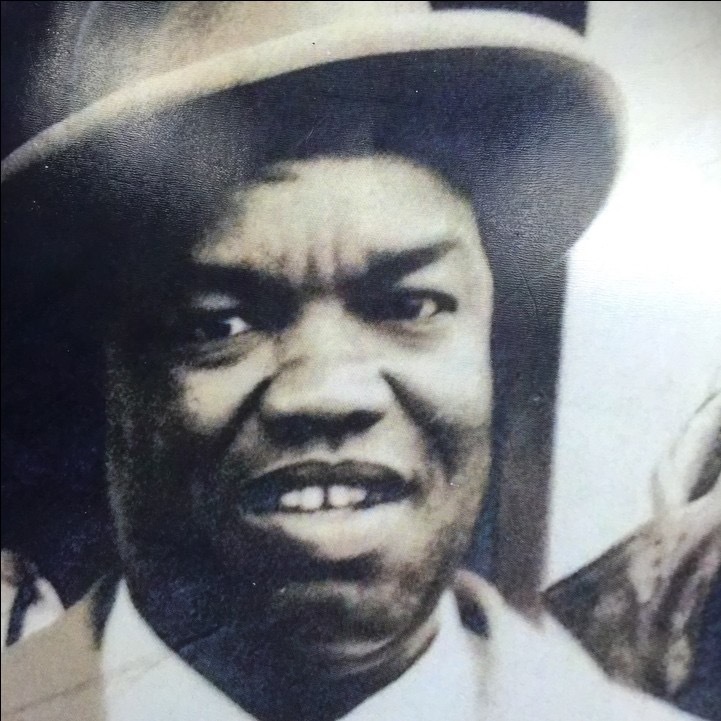 Sir Louis died in Nkalagu, present day Ebonyi state, in 1966. Sir Louis CV is the most intimidating I have ever seen and probably will ever see. 1)The first President of the Nigerian Stock Exchange. 3) Chairman, Nigerian cement company (NIGERCEM). 4) CEO, Ojukwu Transport company. 5) Chairman, Nigerian National Shipping Line. 6) Chairman, Lion Of Africa Insurance Company. 7) Chairman, BISCO Nigeria Limited. 8) Chairman, Nigerian Industrial Development Bank. 9) Vice President, Lagos Chamber Of Commerce. 10) Chairman, Palmline Shipping company. 11) Chairman, Nigerian Produce Marketing Board. 12) Chairman, Eastern Nigerian Development Corporation. 13) Chairman, Costain West Africa. 14) Director, Shell D’Arcy Petroleum. 15) Director, Thomas Wyatt & Sons. 16) Director, Nigerian Coal corporation. 17) Director, Guiness Nigeria Limited. 18) Director, Nigerian Tobacco Company. 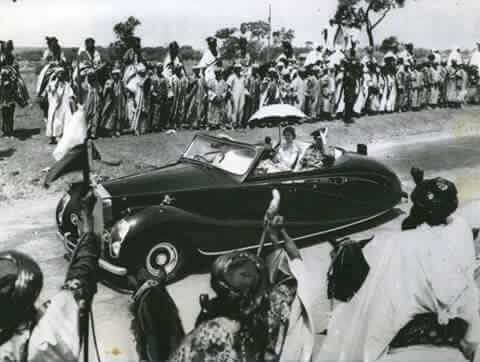 QUEEN ELIZABETH RODE ON SIR OJUKWU’S ROLLS-ROYCE SILVER WRAITH LWB WHEN SHE VISITED NIGERIA IN 1952 ? The man was simply larger than life. Sir Louis also owned numerous buildings, landed properties: It is estimated that as at the time he died in 1966, he was worth about *$4 Billion Dollars* in today’s money. Previous Only restructuring can save Nigeria, say Bakare, Ositelu. Next China Joins N. Korea- Declares WAR Against U.S.A.- Here’s What We Know. What’s going on? Why the continuous postings?